Work on fine motor skills while creating this fun heart art and craft! This Valentine's Day, have your child create a Heart Buddy. 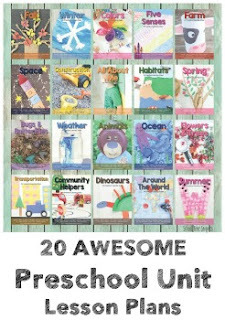 This is such a fun way to add a little craft and fine motor skills into your day! Hope your preschooler loves it as much as mine did! 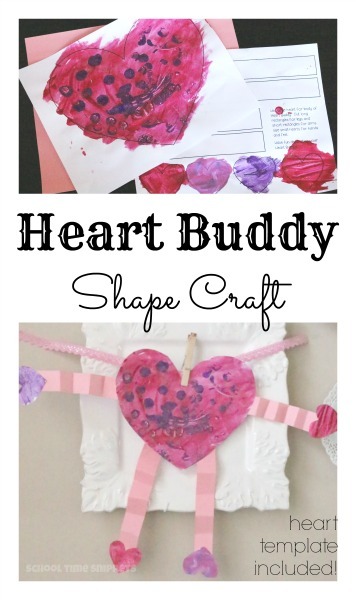 I've included a template for you to use to create your own Heart Buddy Shape Craft. Provide markers, paints , and/or crayons for your child to color the large and small hearts. If using wet materials, wait til everything has dried and then have your child cut the hearts. The large rectangles are for the legs and the short rectangles are for the arms. We chose to use construction paper arms/ legs for our Heart Buddy. So we used the printable template as a guide. Once everything has been colored, encourage your child to develop their fine motor skills by cutting out the hearts for this art and craft activity. For more fine motor skills practice, I had my daughter fold the arms and legs back and forth like an 'accordion'. Next, assemble your "heart buddy." Glue the small hearts to the ends of the "accordion folded" arms and legs. Then glue those parts to the large heart and your Heart Buddy is complete!